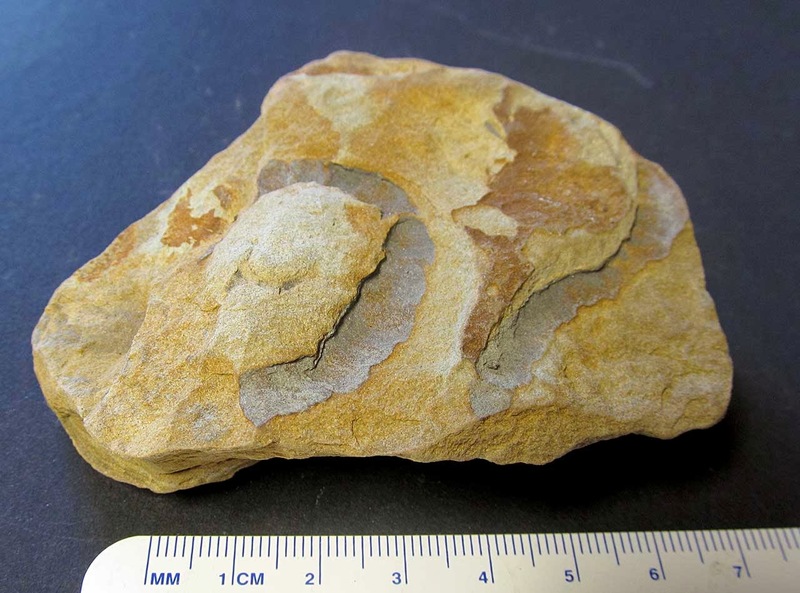 Here is a picture of fossil burrows of the Scalarituba missouriensis worm. 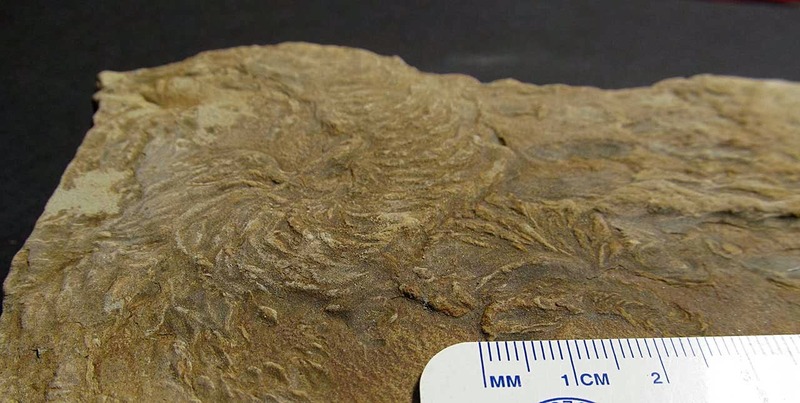 They were found in the Rosewood Shale of Floyd County, Indiana, USA. The fossils date to the Mississippian Period.